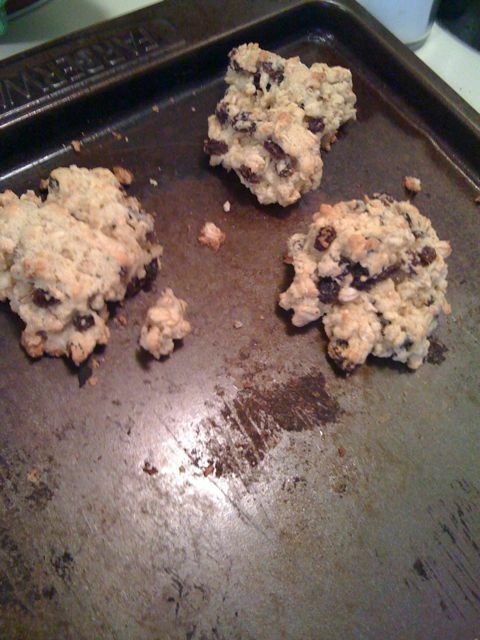 Bake for approx 15mins, or until you gauge that the cookies aren’t raw on the insides. Before you know it, pow – yummy cookies that have plenty of fiber in them and good stuff for your tummy! No, you may not eat the entire batch! Thanks Erika! I’m putting the ingredients on the shopping list and looking forward to trying the recipe this weekend. They sound delicious! What’s the oven temperature? I didn’t see that listed anywhere. @Erika: Thanks so much! I have a lot of flaxseed that I’m trying to incorporate into my eating plan, and I also have some homemade apple butter in my fridge, so this recipe came st the perfect time! Yes! I looooove homemade apple butter. Makes me want to go have a sandwich now, LOL! They’re whole – milled ones don’t have the same amount of fiber in ’em. What will happen if I use the cold flaxseed oil from the fridge? I made these cookies last night I really enjoyed them I use milles flax seed because that was all I had but the were still very good my baby girl loved them. I haven’t seen apple butter in years. Can applesauce be a substitute? Yeah, but you can also always make your own apple butter, especially since the apple butters I see in the stores nowadays have high fructose corn syrup in ’em. Can you give us the recipe for apple butter? Also, what about peanut butter? Do you have a brand/type that you prefer? There are so many to choose from and the ones I have tasted without sugar are not very tastey. Any suggestions?